The start of the final five which have destroyed many a score card. This dog leg right, to a well guarded green is our most testing par 4. 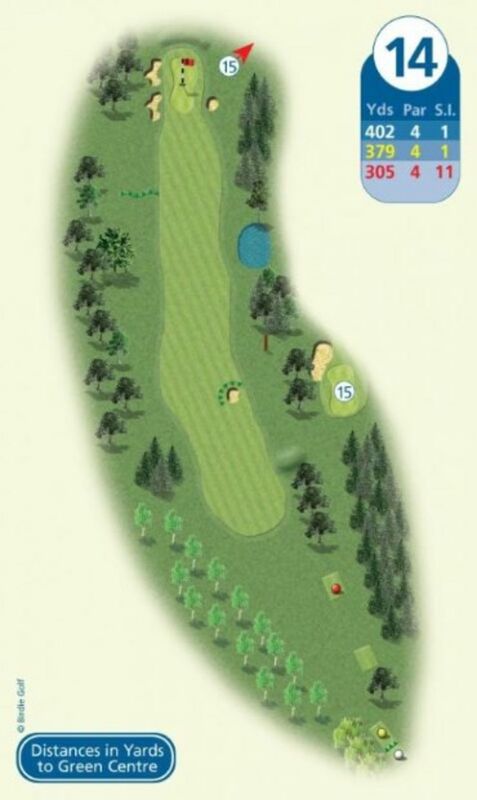 A drive up the left hand side is the place to be and opens up the narrow green for your second shot.